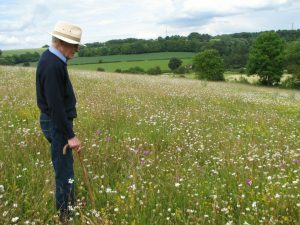 Based near Great Missenden, Countryways CIC Care farming provides ‘green therapy’ to those who may benefit from a little more social inclusion and who simply enjoy being in the outdoors. Road Farm Countryways CIC is based on a working farm and part of the Social Farms and Gardens network (formerly Care Farming UK). They have young people and adults with a range of learning difficulties or life-limiting health conditions who attend the farm on a regular basis. They get involved with real life projects, meet the animals and, enjoy being out in the fresh air. Those who attend the farm find great improvements to their wellbeing and general demeanour. This has a hugely positive affect on their families and carers. They regain self-confidence, make friends, find skills, build memories and feel happier. Exciting news!! After Easter they are launching a new service aimed at older people. Mostly for people who may have an outdoor working background but now lack opportunities to get out due to health or isolation (perhaps influenced by a stroke, dementia, Parkinson’s, depression, physical disabilities). The Countrymen’s Club is here to help the wellbeing of older people in the local area. Using our farm and fresh country air, we’re helping men who are isolated. This could be due to physical or mental health conditions or changing social situations. The Club will run every Monday from 11.30-2.30pm. It will typically include welcome drinks, walks around the farm and a chance to chat and reminisce with others. As well as participating in farm-related activities with animals, woodworking, small structural projects, and picking fruit or vegetables. You are free to choose the activities on offer that you would like to do. Lunch will be provided. The Countrymen’s Club is staffed by Wendy and Duncan, who run the care farm. There are also skilled and trained volunteers who chaperone and support our Club members depending on their specific medical, health or learning needs. This allows the members’ Carer some valuable respite time. 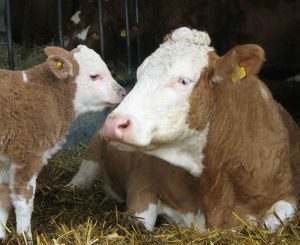 Find out more information, or make an appointment to visit the farm website. Website: Complete the referral form which can be found on the Contact Us page on their website.